A few days ago I mentioned the great review Jerome Clark wrote about my book for the Fortean Times. 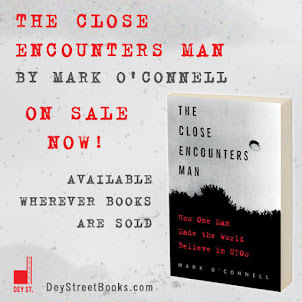 I was grateful for Jerry's positive review, but puzzled by his comment that The Close Encounters Man would have been a better book if I had interviewed more people who knew J. Allen Hynek. I was puzzled because I had interviewed Jerry for the book via email back in January, 2016. There's always room for another Close Encounters book on the market, isn't there?. Just a thought - perhaps those who declined an interview or the person who warned people away from interviews harbored the thought of someday writing a book on Hynek. 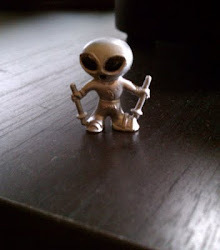 Sooner or later just about everybody interested in Ufology eventually entertains the notion of writing a book. That's why the UFO literature is so inconsistent, poorly researched, and crappy, people who can't write and do basic research have produced a lot of UFO books. On several occasions over the years, acquaintances or colleagues urged me to write a Hynek biography. In each case I replied that I did not feel up to the job. I’m glad you took on the task, and I congratulate you for your efforts. I’m not sure if I envy you, but I know we’re all grateful to you. Good call, purrlgurrl! You nailed it! Thank you for the kind words, sir. My pleasure.